ICELAND. Mosfellsheidi. 2007. 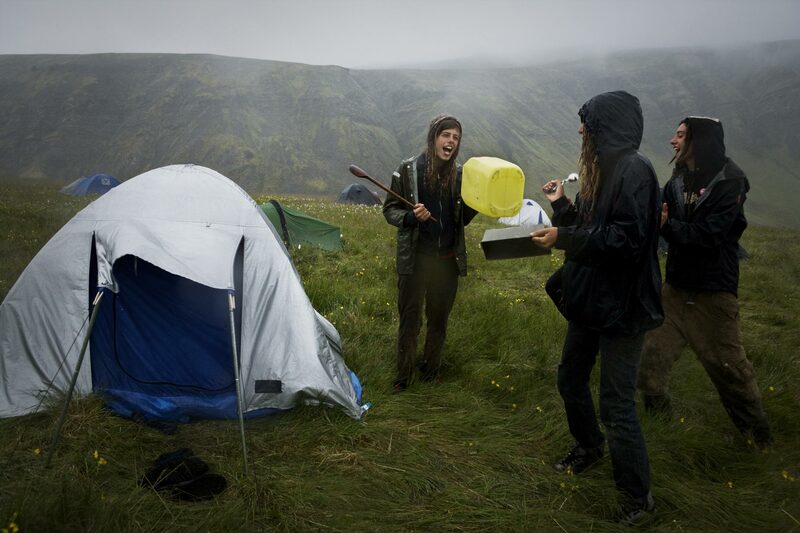 Icelandic and foreign environmental activists at the camp making a rainy-day wake-up call to their fellow activists in their tents, by singing and banging on pots and pans.